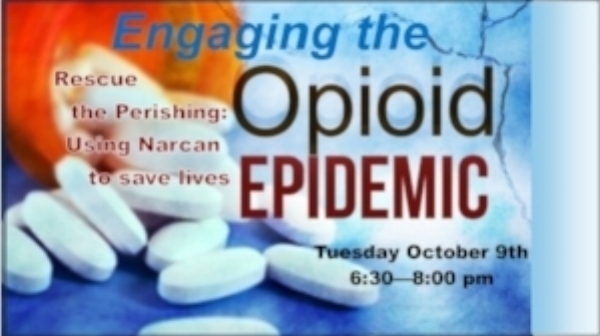 As an introduction, we will view the Oscar-nominated short documentary, Heroin(e) about one community's response to the opioid crisis. Harm Reductionist Aaron Kopic will explain how Narcan works and how you can use it to rescue someone experiencing an opioid overdose. There will be a limited supply of Narcan kits available.